Coalesce is a mixed media installation offering a précis of recent works by visual artist Barry Ace that addresses a multiplicity of pertinent issues relating to decolonization and cultural revitalization from a distinct Anishinaabe (Odawa) perspective. The works in the exhibition incorporate Great Lakes Anishinaabeg floral motifs sourced from reclaimed and salvaged electronic circuitry (capacitors and resistors) integrated with glass-cut beads that together act as a metaphor for cultural continuity, bridging the past with the present and future. The work intentionally integrates cultural specific art practices, such as beadwork, which is then juxtaposed against contemporary ephemera, breaking new ground as a distinct genre of contemporary Indigenous abstraction. The Robert Langen Art Gallery (RLAG) is located in Wilfred Laurier University in Waterloo, Ontario. 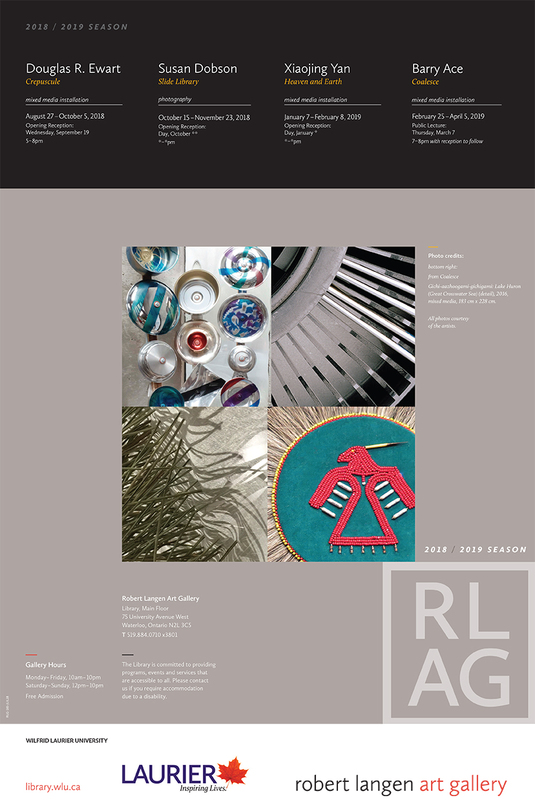 RLAG brings the work of leading national and international artists to our community and is the university’s visual arts centre. 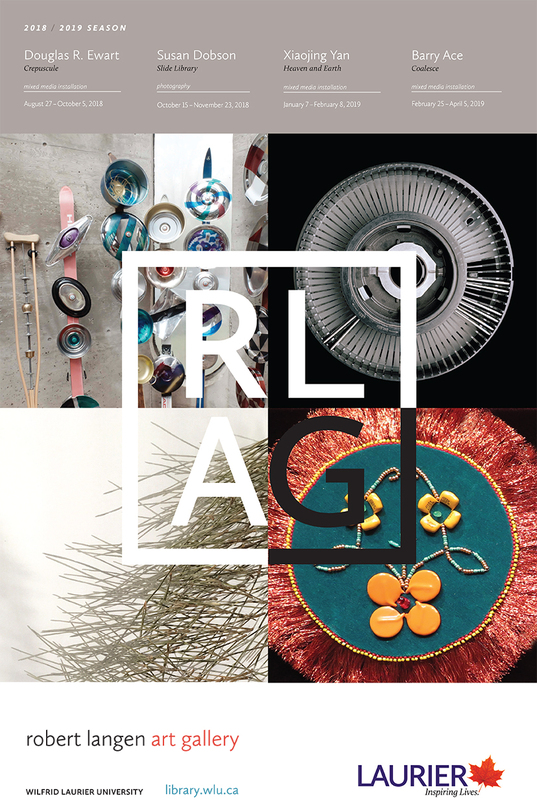 RLAG oversees art collections and policies across Laurier’s multi-campus milieu and organizes visual arts programming that inspires, challenges and expands learning beyond the classroom. Working with a wide range of university and community partners, the gallery develops exhibitions, artist lectures and arts-related events featuring practitioners who range from students and community members to leading national and international visual artists.